I really can’t think of a time in my life when I thought poinsettias were out of place in a holiday display. They add color, life, and energy that perfectly captures the feel of Christmas. First introduced to America from Mexico in 1825, it’s believed that the shape of the poinsettia flower is symbolic of the Star of Bethlehem and that the red color symbolizes the blood of Christ. 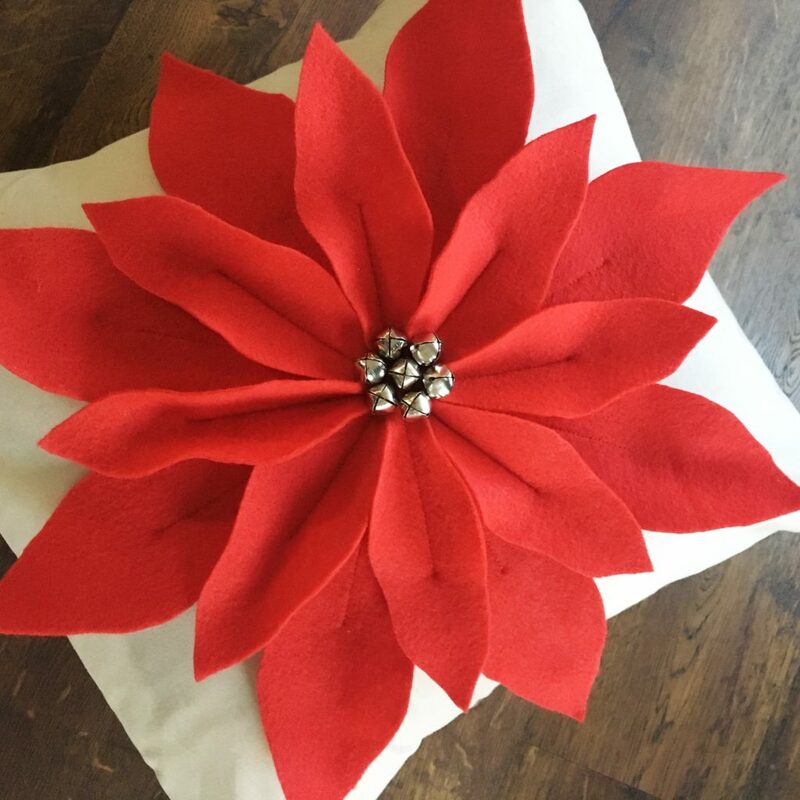 So whether you want to showcase a truly Christ-centered symbol or are looking for a pretty way to liven up your holiday decor, here are 10 dramatic poinsettia crafts. Welcome guests into your home this holiday season with this festive poinsettia wreath. I think the plaid ribbon around the wreath form brings a perfect comfy, cozy holiday feeling. Find the tutorial here from Lil’ Luna. 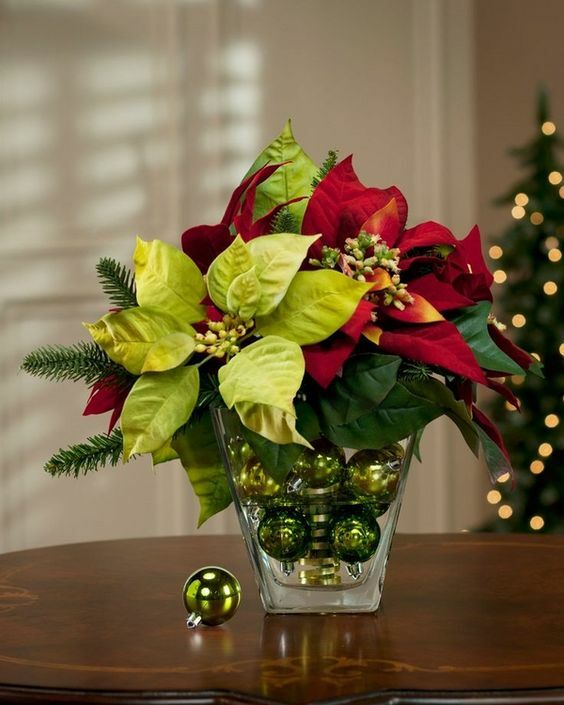 Place a poinsettia in a wide glass vase and fill the empty space with Christmas tree decor. The green balls are perfect for adding some sparkle without distracting from the flower. The pine branches are also a pretty hint to include in the piece. Image source.Get everything needed at Michaels! Compliment the focal point of your holiday decor with this pretty red poinsettia tree skirt. Bold but subtle all at once. DIY here. I often say how pillows are one of the easiest ways to decorate a room. This poinsettia throw pillow totally proves my point. What a pretty way to add some holiday cheer to your family room. The bells are particularly fun! Find the DIY here. It doesn’t get much easier than this to make a dramatic look in your home. 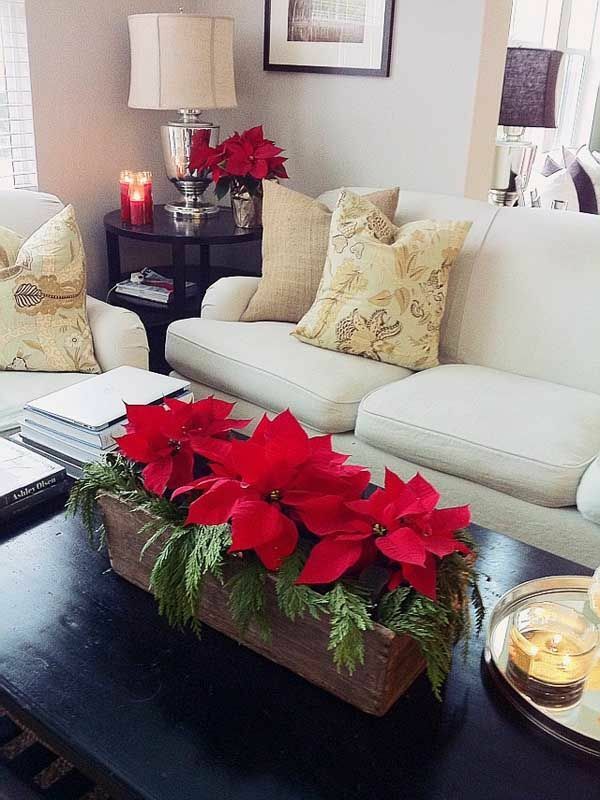 Simply take a few live poinsettias and place them in a rectangular wooden box. You could put this in any room! Source. 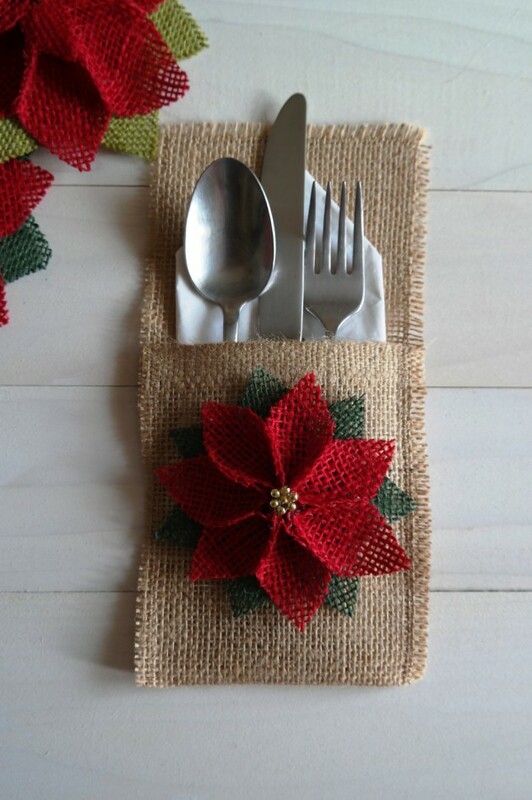 Make your dinner table bright and inviting with these elegant burlap utensil holders. They make a statement without stealing the show. Find them here. I’m all about hanging our special knitted stockings but there’s no doubt another place to hang these pretty fringe cuff stockings. Make the stockings from course homespun linen before embroidering the poinsettias on the cuff. Get the template and instructions right here. This poinsettia-inspired garland will have you seeing red in all the right ways this holiday season. 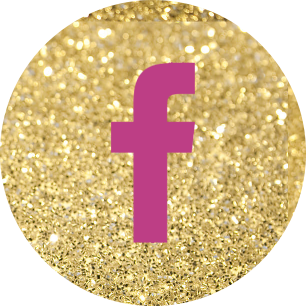 Use colorful metal sheets to craft the poinsettias and hang with aluminum cupcake wrapper-capped red string lights. How fancy above a mantle! Find all you need to know here. Adorn doorways, banisters, mantels, and more with poinsettia capped string lights. These would be especially pretty string throughout your Christmas tree! Martha Stewart shares a DIY video for this “good thing” here. 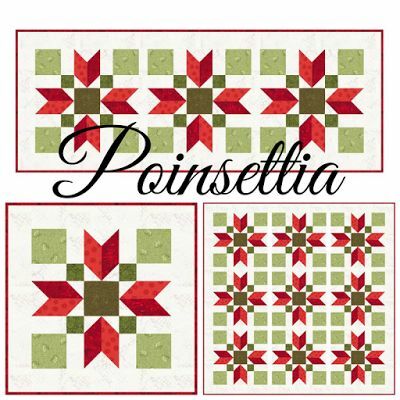 I can’t claim to be a quilter YET, but this beautiful poinsettia quilt sure has me motivated to develop the talent quickly! 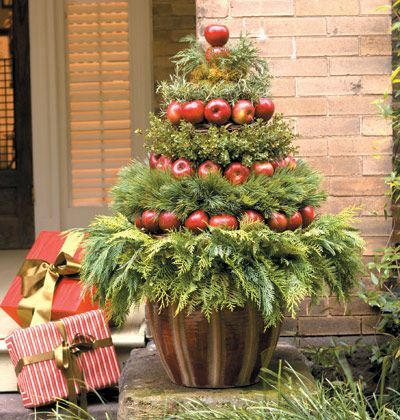 What a beautiful piece to put on display with your other joyful holiday decor! Get the pattern and instructions from Sew Fresh Quilts.